Hannah Makes Coding Projects Inspired By Her Dog! How is learning to code like learning a new language? Ask Nico! 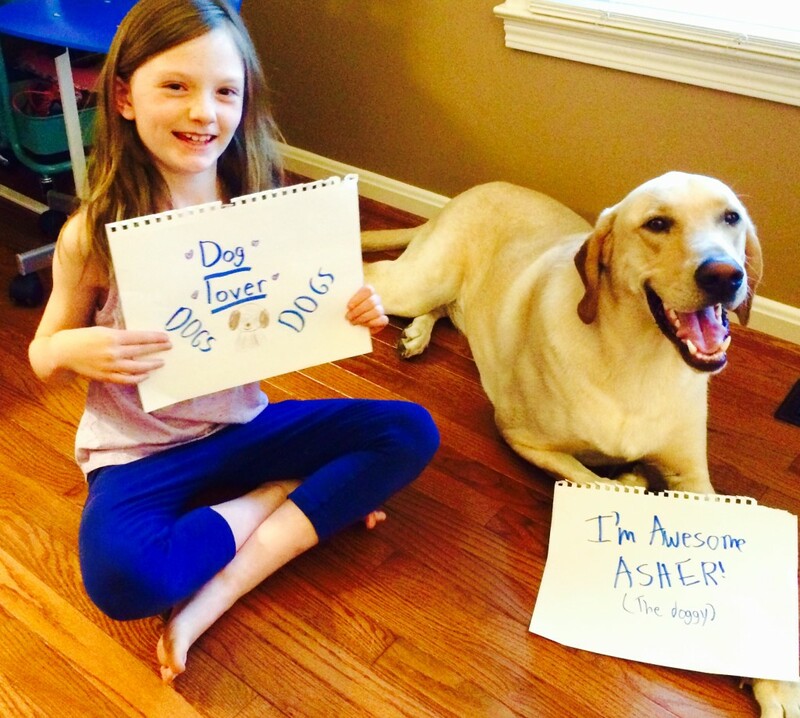 Hannah is a 9-year-old from Lexington, Kentucky who has published a bunch of awesome coding projects to the Tynker community, including projects about her dog Asher. What are your hobbies? Drawing and playing soccer. What do you want to be when you grow up? An elementary school math teacher. How did you get introduced to coding? My dad showed us the Tynker app. How long have you been using Tynker? Four months. Do you ever look at the Tynker community projects? Yes, I do a lot. They’re very creative and they inspire me. What’s your favorite feature in Tynker? I like that you can share projects and see other people’s projects to see what you can make. What’s your favorite thing you’ve made? Probably one of my dog projects. I really like dogs, so I decided to make the dog projects. I have a dog named Asher. Why do you like to code? Because it teaches you things and you can express yourself when you code. It helps me relax and be myself. What advice would you give to kids who are starting to learn to code? You can use math to create programs. And try your best. Thanks so much for talking to us, Hannah! It’s been so exciting for us to see all the awesome projects you continue to publish. We are always so amazed by what you’ve made. Timothy Loves Languages – Including Coding Languages! See What Future Rock Star Talon Has to Say About Coding!